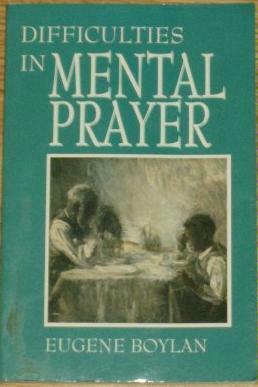 I recently had the pleasure of reading Difficulties in Mental Prayer by M. Eugene Boylan, O.C.R. Ave Maria Press has issued a new edition of this work which was first published in 1943. Obviously the world has changed a great deal in nearly seventy years. The Church has changed a lot as well, as has the way we speak about prayer.